There are a million and one books written about the holocaust. Some say we don't need any more. Some say we need as many as possible, so we never forget. Some say holocaust literature begins and ends with Anne Frank's diary. Maybe all of these people are right in their own way. But I'd go as far to say nothing as wonderful as this novel will ever be written again. The words feel as though as they've been painted on to the pages to show us a picture of something important, something we will never encounter again. Zusak stresses the power of words for Hitler, and how the power of words helped Liesel. It's very fitting that the power of words makes this novel as flawless as it is. My favourite part of the novel is Zusak's characters. They are beautiful. They are perfectly crafted; gorgeously kind to one another, but full of flaws. Mistakes are made in abundance, relationships are broken, whilst others are rebuilt. Everyone has a back story, a reason for their attitudes and behaviours. All are glorious, all feel more than human than people you encounter daily, and all are loved. You'll even fall in love with Frau Holzapfel, who spits on Liesel's door each time she passes. Zusak's character development is eventually the thing that breaks you in the end. Using Death as a narrator is a wonderful technique. This omniscient inhuman voice tells us the story of the book thief, and as he has no time for mysteries, foreshadows events in her life. Rather than having a spoiler effect, this declaration of future events heightens our anticipation of things to come, and our dread of the worst case scenario. And isn't that just like a war? Knowing you are destined to lose either someone you love, or yourself? That it's only a matter of time? Zusak builds the worst kind of apprehension in us as he alludes to the fact that some of the wonderful people he's given to you may not still be standing in a few pages. Despite the novel's theme, and our formidable narrator, Zusak never lets things become too morbid. A beautiful vein of humour runs through the pages, and we see how the small things in life can brighten a day. The sheer brilliancy of the character's hearts, and the ways they behave towards each other, is inspiring, and at times the poverty-stricken Himmler Street seems a wonderful place to live. My own graceless power of words could never completely describe both the joy and sorrow this book brings me. I can only urge you read it, and come away with your heart broken into tiny pieces. hope I have made them right. 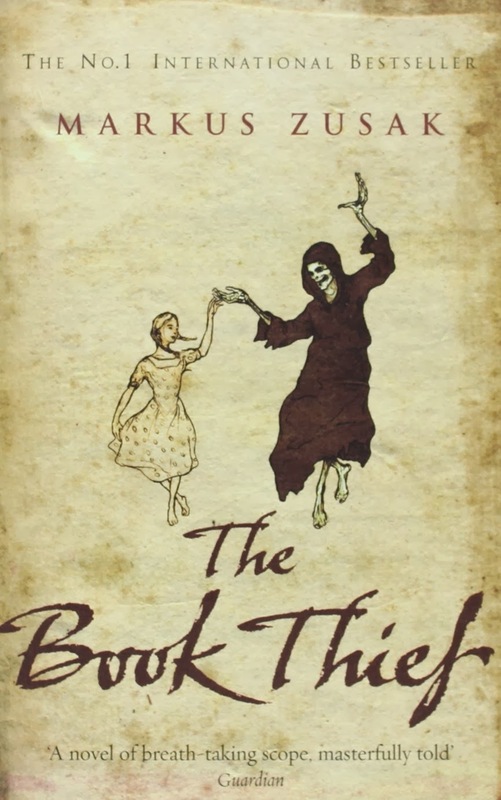 You can read my 2010 review of The Book Thief here.